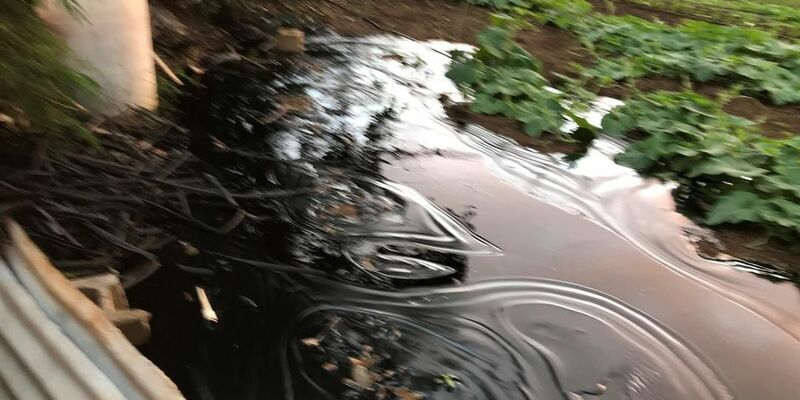 PEARL CITY, OAHU (HawaiiNewsNow) - Hawaiian Electric crews say they have just finished cleaning up about 500 gallons of fuel that leaked from an underground pipeline in Pearl City Tuesday night. On Wednesday, crews were scooping up the sticky ooze, putting it into trash bags, and then steel barrels. HECO operates the 8-inch steel pipeline that leaked. Officials said it was installed in 2004, carries fuel from Barbers Point to the Waiau Power Plant. At around 5:30pm Tuesday night, resident Gilbert Peter says he was heading to his backyard to water his plants. That's when he saw what looked to him like a black lava flow. "When I was walking along the side of the house, I saw this black oozy stuff all over the cement back there. Streaming down along the sidewalk, along where my plants were," Peter said. Peter says he called HECO and crews were at his home on Waiawa Road quickly. 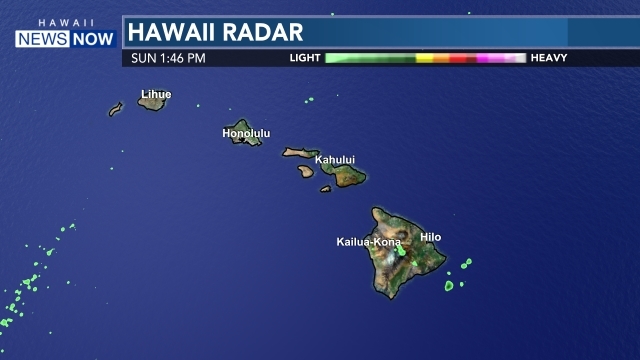 HECO says the pipeline, which is located five feet underground, was shut off and residents were able to stay in their homes as crews worked overnight to contain and clean up the spill. Crews say cleanup efforts weren't as difficult because the fuel that leaked is a low sulfur fuel oil, so it hardens into a wax like consistency when it cools. 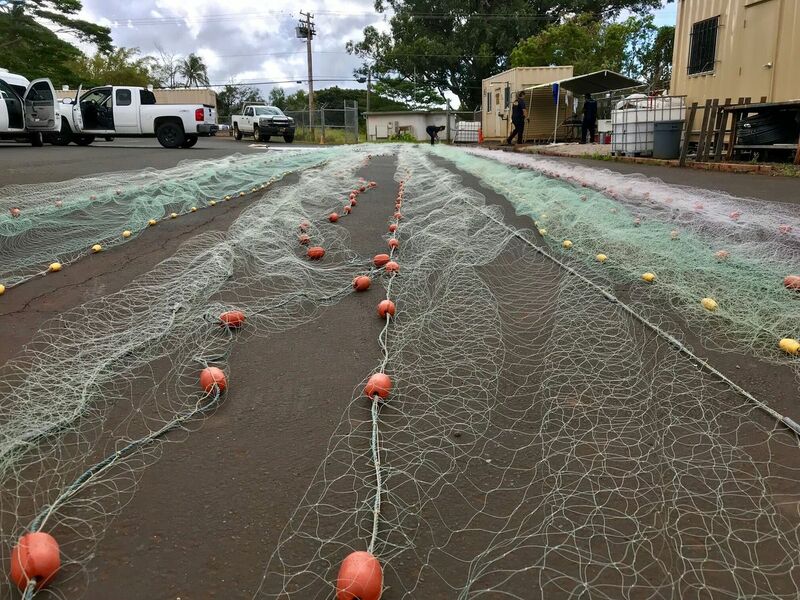 "It's not like liquid where its seeping into the ground, so it stays on the surface," said Shannon Putnam, HECO's Director of Corporate Communications. Putnam says HECO will be excavating the site tomorrow to figure out what caused the leak. She says the pipelines are checked out regularly. "Every two weeks, its inspected. People walk the line. Every five years, I believe they do an in-line inspection where all the insides are taken a look at," Putnam said. The affected pipeline carries fuel from HECO's Barber's Point facility to the Waiau Powerplant. HECO says because it has weeks of fuel supply onsite, there will not be any disruption in power generation. The health department said there is no indication of any public health hazards.